Comprehensive 72 hour survival system for three. 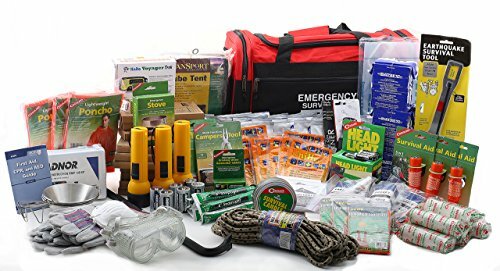 High quality emergency preparedness supplies kit for any emergency. • 1 Water treatment tablet pkg. • 1 Roll duct tape, lg.